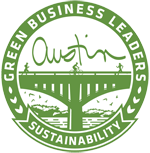 EcoRise Youth Innovations was delighted to be approved as a Platinum Leader of Austin Green Business Leaders (AGBL) in spring, 2014. Joining the program was an important achievement for EcoRise, as AGBL is a flagship program that allows a diversity of entities to showcase their commitment to sustainability and environmental stewardship. We want the public to know we don’t just “talk,” we “walk the walk” in every aspect of our operations. Being a member also gives EcoRise another opportunity to network, share, and learn best management practices from other like-minded businesses in the program. Spearheading our review and application was August Martin, a member of the Board of Directors of EcoRise Youth Innovations. August works at a design firm where he focuses on infrastructure oversight and development, but he is most proud of his role as Sustainability Manager for HNTB in Austin, Texas. 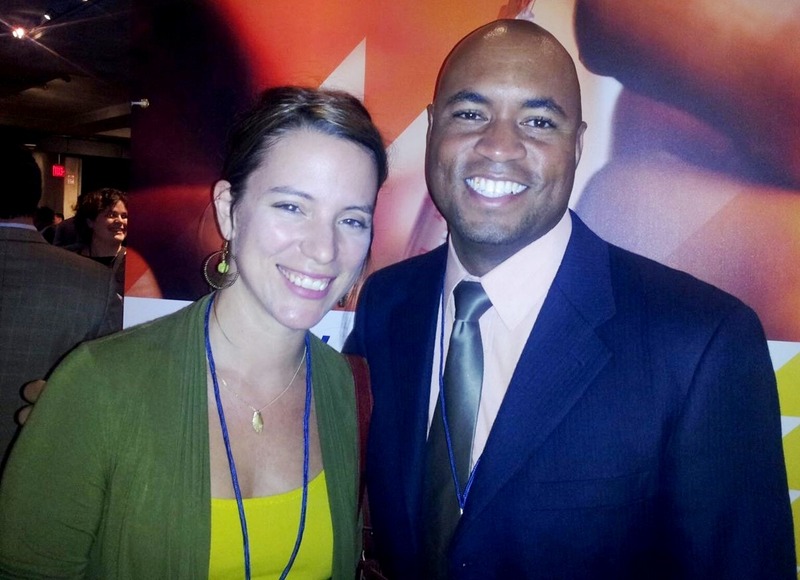 August pioneered the effort to assist his company in becoming an AGBL member at the GOLD level in 2013, and he was excited to share his AGBL experience with EcoRise and to assist with the steps necessary to support EcoRise in joining. The Austin Green Business Leaders Program was created by the Office of Sustainability of the City of Austin to support businesses in their pursuit of sustainability. It is an excellent way to help local organizations become as “green” as possible. The program also provides a comparable platform for businesses to take action and make appropriate marketing claims to customers on their “green-ness,” and it creates a community of businesses that have embraced green operational activities that can grow profitable environmental protection in the City of Austin. EcoRise joins some impressive Central Texas businesses at the Platinum Leader level, among them AMD, Balcones Resources, Dell, Enviromedia, Foundation Communities, Goodwill Industries, Green Host It, Green Mountain Energy, HM Risk Group, House+Earth, in.gredients, Intel, JK Commercial Cleaning, Office Depot, ProGraphix, Rackspace Hosting, Samsung Austin Semiconductor, Snap Kitchen, St. David’s Episcopal Church, TreeHouse, W Austin, Whole Foods Market and Wyndam Garden Austin. If you would like to enroll your business in Austin Green Business Leaders, follow this link for more information.